Home > Cityskin opens in Sydney CBD! We are excited to announce that Cityskin Sydney has officially opened! Our new clinic is located in O’Connell St in the heart of Sydney CBD and only a 5 minute walk from Wynyard Station and Circular Quay! Who works at Cityskin Sydney? Rachelle McIntosh and Michelle Dodd are experienced cosmetic injectors with years of injecting experience. Cityskin Sydney is st the following address: O’Connell St Medical Centre, 12 O’Connell St, Sydney, 2000. The clinic is a 5 minute walk from Wynyard station and Circular Quay. 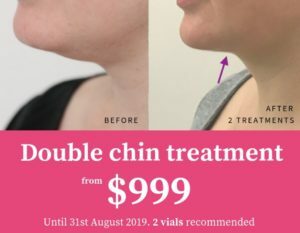 Which treatments do you offer at Cityskin Sydney?